Does your property in Teignbridge need a damp proofing specialist? Houses in Teignbridge all stand on damp soil. Rising damp occurs when water rises up from the ground into the house walls which normally evaporates above a few feet up. The walls act as a sponge. Damp proofing is also needed where rain comes in via the roof or through the walls and this penetrating damp can be rectified by a builder or roofer. For help with damp proofing in Teignbridge Contact Dampco Ltd – Damp Proofing Services Teignbridge. Dampco are based in Brixham and serve Plymouth, Torbay, South Hams, Teignbridge, Exeter, Salcombe and areas throughout South Devon. Since 1987 our family business has helped customers in Teignbridge resolve their damp proofing problems. Dampco is South Devon’s premier remedial treatment company. We offer professional advice, first class remedies and competitive prices. With Dampco, you have the confidence that you are dealing with a government TrustMark company and a full PCA member for 25 years – 3 times longer than any local competitor. 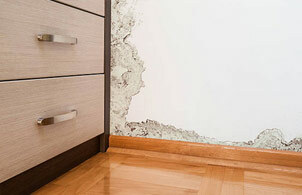 Read more about damp proofing Teignbridge.